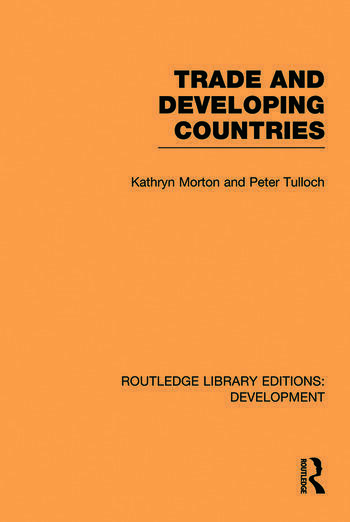 This reissue, initially published in 1977, is an introduction to contemporary trading positions and problems of developing countries. The authors examine the main export options of Third World countries and consider the roles of the key international organisations – GATT, UNCTAD, etc – and those of national governments and foreign investors. The authors complete their review with an examination of the way in which numbers of developing countries have tried to diversify their trade relations, particularly by creating Third World trading groups. Contemporary economic difficulties and their impact upon the Third World is also discussed, with the authors displaying a guarded optimism about real changes in world economic relations, citing factors such as the spread of trade among developing countries and the increase processing of raw materials as potential for the wider participation of developing countries in international trade.